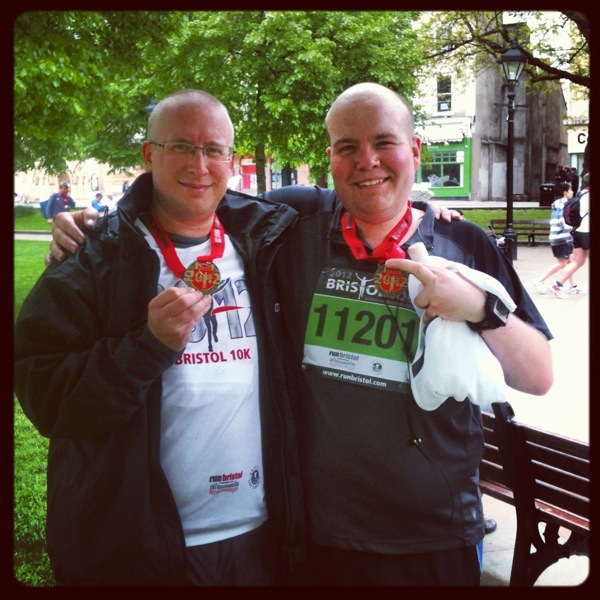 Today I ran the Bristol 10K, mostly with my friend (and erstwhile boss) Mike. Mike had originally planned to partner up with a friend who’s a fair bit faster than me, but she got a hip injury at the last minute, unfortunately. So, I rebelliously brought my green‐numbered self into the red lane with Mike and ran with him instead. This turned out to be a good move, as running the beginning of the race with Mike helped keep my speed up. We comfortably matched each other from the start line, all the way down the Portway, right around the turning point, and back into town. On Cumberland Road, though, between 7 and 8km, our different paces started to show up. I’d clearly been going a bit too fast, and was overheating some, despite the perfect, overcast running weather, whereas Mike was ready to surge on ahead. We agreed to split up. I lowered my pace for a while as Mike headed off into the distance. Luckily, my overheating was temporary. A lighter pace, some water, and a Torq Rhubarb and Custard energy gel (those things really do taste like rhubarb and custard. It’s good stuff!) later, I was ready to pick back up some speed. 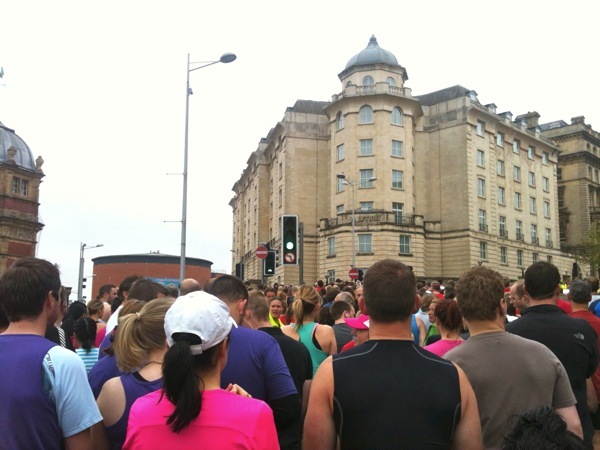 I was going quite nicely again by the time I crossed Prince Street Bridge and waved at my friends Martin from Bristol Culture on my left, and Emma and José on the Clic Sargent open‐top bus on my right. I kept on around the Centre, and I was pretty sure I could get a personal best time if I just kept going. I decided to make sure of it by sprinting to the finish line — trying to look determined for the cameras, too — and crossed the line at a fair clip, feeling pretty damn cheery. 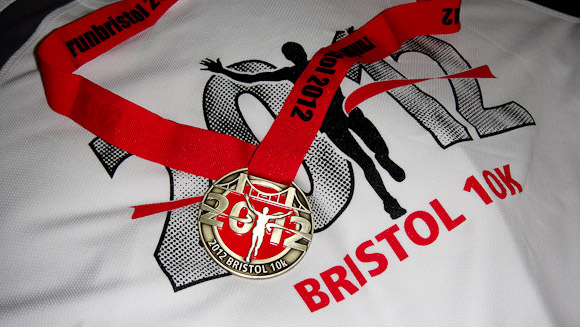 And that, in a nutshell, was my Bristol 10K. I’m taking a week or so off to recover now, so I’ll catch you on the other side.